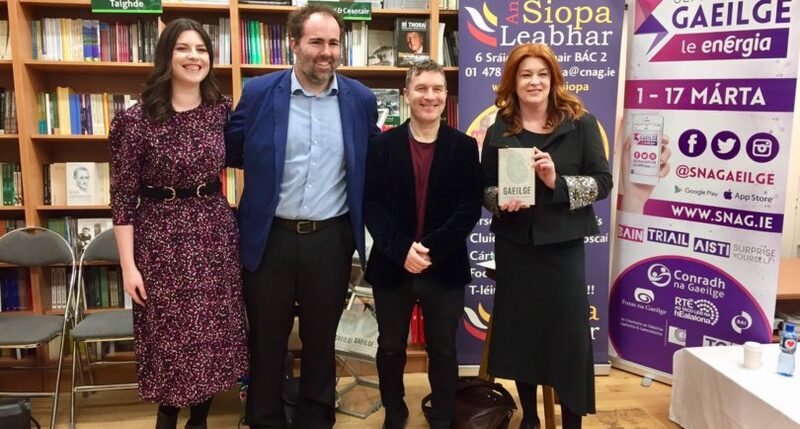 Gaeilge: A Radical Revolution was launched on Friday afternoon, 15th of March, with Conradh na Gaeilge in An Siopa Leabhar as part of Seachtain na Gaeilge. The room was packed full of people to listen as the panel discussed the current state of the Irish language, current efforts to revive it, and what more needs to be done. Author of Gaeilge: A Radical Revolution, Caoimhín De Barra, said that one of the important things to consider when discussing the Irish revival is: “What do we mean when we say we want to revive Irish – what is the end goal? What do we hope to achieve?” Without a goal, how is a plan to be crafted to achieve that goal? On the panel, Harry McGee, political correspondent with The Irish Times, said that in order to keep the language alive people need a motive and “we need to make the language as available as possible in people’s lives”. 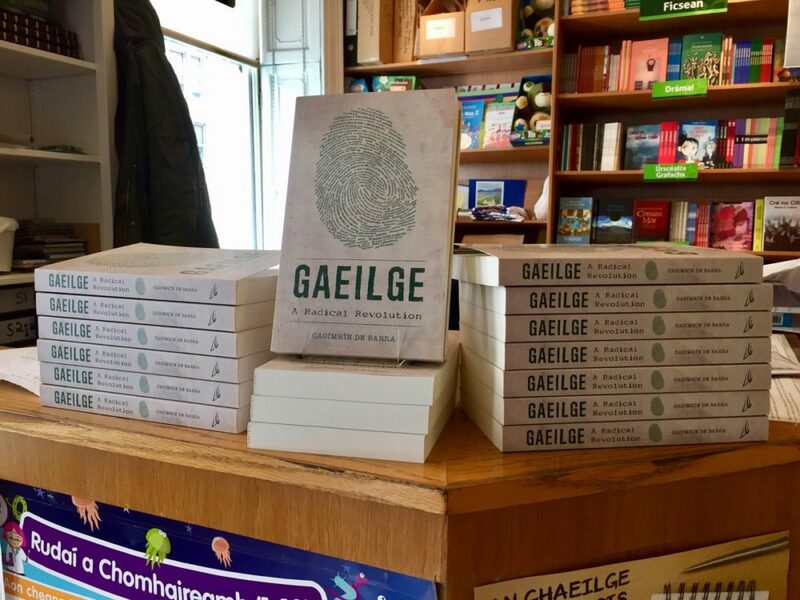 If you want to read more about the position of Irish in Ireland, the myths that have built up around it, and a radical plan to restore it as the first language of the people of Ireland you can buy your own copy of Gaeilge: A Radical Revolution by clicking here.